Specialbuys range with tools to get those jobs done around the house for whole lot less. If you are planning to get a bit of DIY done this weekend, perhaps you better stop by Aldi for a few tools. The supermarket has launched few bargain tools and accessories for every DIYer. The supermarket has teamed up with DIY expert, Jo Behari, to create a selection of quick tips (see below) which can add value to your home for less and show that you don’t always need the most expensive gadgets to get the job done. Look out for Aldi’s DIY and Workshop Specialbuys ranges which go into stores on Thursdays and Sundays throughout the year, but don’t delay, as once they’re gone, they’re gone! This Premium 6 Tread Fibreglass Stepladder (£49.99) is ideal for tackling those hard to reach jobs. 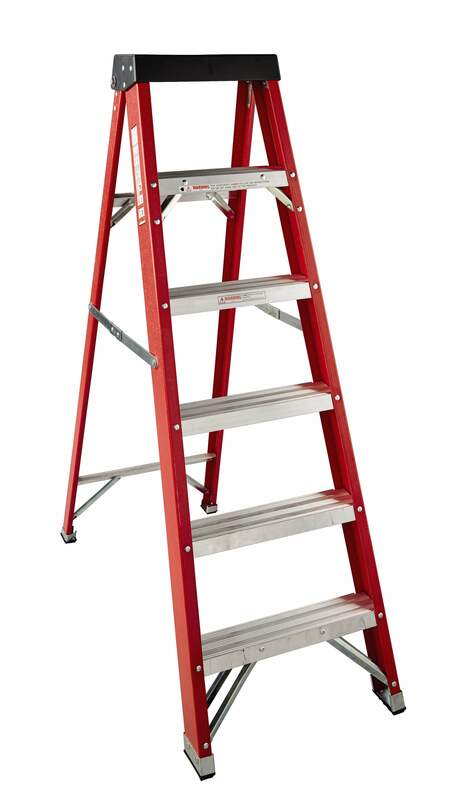 With a top tread height of 1.67m and built-in holders for tools, brushes and paint pots, this ladder also features slip-resistant steps and a fiberglass construction which minimises the risk of electric shocks from exposed cables, making it perfect for the safety-conscious user. 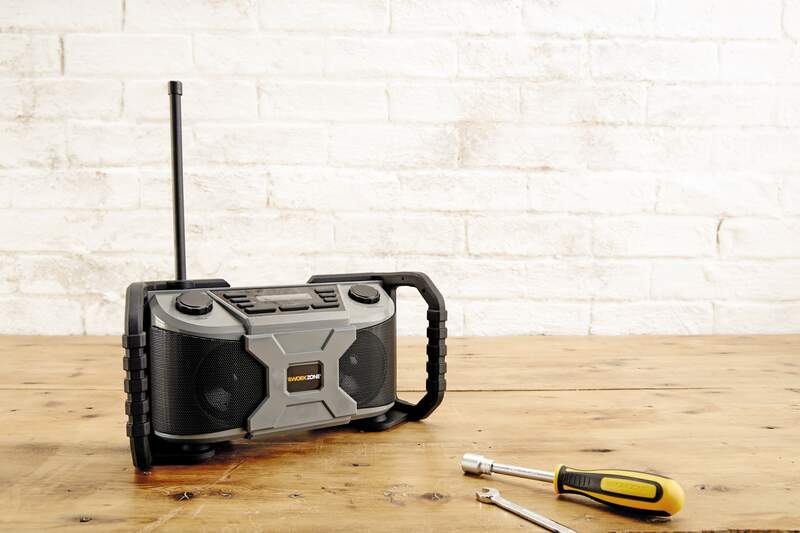 Whistle while you work with Aldi’s Rugged DAB Radio (£29.99). Featuring a tough, waterproof outer casing, LCD display and handy carry handle, this powerful device is guaranteed to boost morale on site or keep you company in the garden. 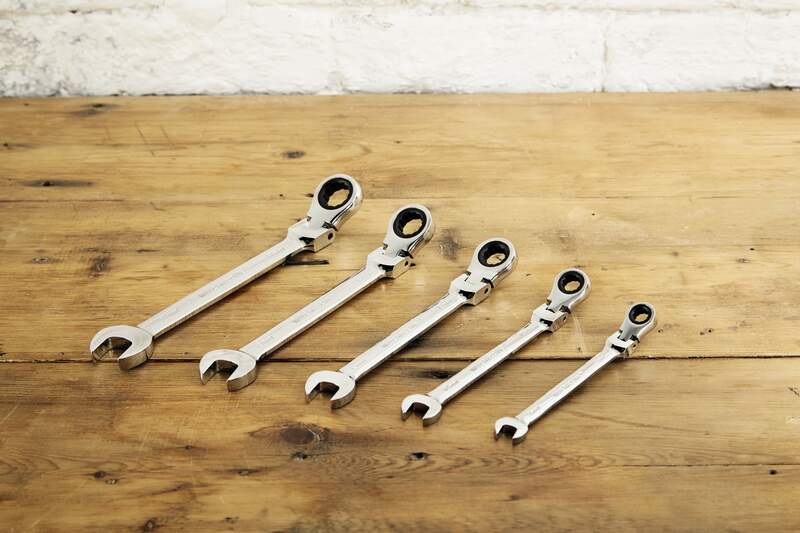 This high quality 5 Piece Ratchet Wrench Set represents unbelievable value at only £12.99. Made from polished chrome vanadium steel and with 180° swivel heads, these 72 tooth ratchets allow for minute adjustments in increments of just 5°. Light up and organise your workspace with a selection of energy efficient LED Bulbs (£3.99 – £4.99) and this great Storage Bin Set (£9.99). With excellent tools and useful workshop equipment, from this 8 Piece Screwdriver Set (£3.99) and Premium 7.5m Tape Measure (£6.99), to Forged Steel Hammers (£6.99) and a selection of Ropes & Twine (£1.99), Aldi has everything you need to do it yourself this Spring. Aldi’s Workshop range will be available in stores nationwide on 24th May while stocks last. Get cutting, shaving and shaping with Aldi’s 1250w Router (£24.99), Router Table (£29.99) and Router Bits (£9.99). This 1250w Router will enable you to make elaborate cuts, shaped groves and intricate hollows with ease, while combining it with Aldi’s quality aluminium Router Table will allow you to increase your routing possibilities and improve your personal safety. This easy to push Dolly Trolley (£12.99) is available in two different shapes and has a maximum load capacity of 200kg. With four swivel castors and a convenient carry handle, this trolley will make light of heavy jobs. These Quick Ratcheting Bar Clamps (available in two packs and four packs both at £4.99) have been ergonomically designed to be comfortable for use with one hand. Featuring a quick release mechanism and non-marking pads, you can be sure that these clamps will hold firm when it matters most. Aldi’s Carpentry range will be in stores nationwide on 11th June and available while stocks last. Bathrooms can be spruced up easily by cleaning grout lines. Just mix bicarbonate of soda with white vinegar and scrub with a hard bristle brush. If there’s particularly deep black mould, you might be better using a rotating multi tool to scrub the grout back and remove the mould. When building flat pack furniture, make life easier for yourself and use your drill as an electric screwdriver. By fitting a hex key bit to the drill you can power turn all those fiddly nuts and bolts. 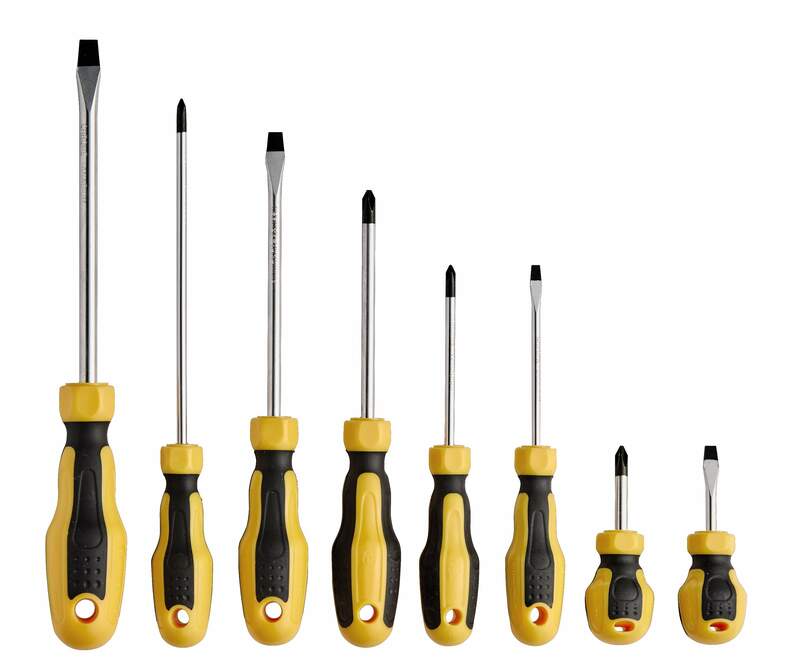 A good drill bit set will have a selection of hex key bits in different sizes for exactly this type of job. Spruce up dull and stained wood by lightly sanding items using a fine grade of sandpaper and a power sander, and then apply wood care oil with a lint free cloth. A couple of coats of oil will enrich any wooden surface. A quick, easy and simple job, this will bring new life to wooden worktops, table tops and even garden furniture. Keep your drains in tip top condition and stop them from clogging up by pouring down a couple of table spoons of bicarbonate of soda, followed by some vinegar, then flush through with some hot water. Do this on a monthly basis and your drains should never get clogged up. If you accidentally drill too large a hole, or have screws in hinges and handles that have become loose over time, plug the hole with match sticks and then screw the screw back in with a screwdriver. Matches are made of the same wood that wall plugs were originally made from, making them the perfect solution. Be sure to remove the match head before plugging the hole. When drilling a hole in a wall, ensure you are using the right drill bit for the job. Use a masonry bit for a brick wall and a wood bit for a plasterboard wall. You also need to use the appropriate wall fixing – it will tell you on the packet which wall each fixing is for. If you pay attention to these two key elements you have the basics for drilling success. Touching up paint work is a great way to freshen up your home. When you’re choosing your paint colours, remember to keep the sample pot of the colour you choose so that you can cover up scratches and other marks quickly. Peeling exterior paintwork can make a house look unkempt and uncared for and can also let water into your home. Keep exterior paintwork in tip top condition – investing in a small electrical sander will help make light work of prepping the wood to paint. 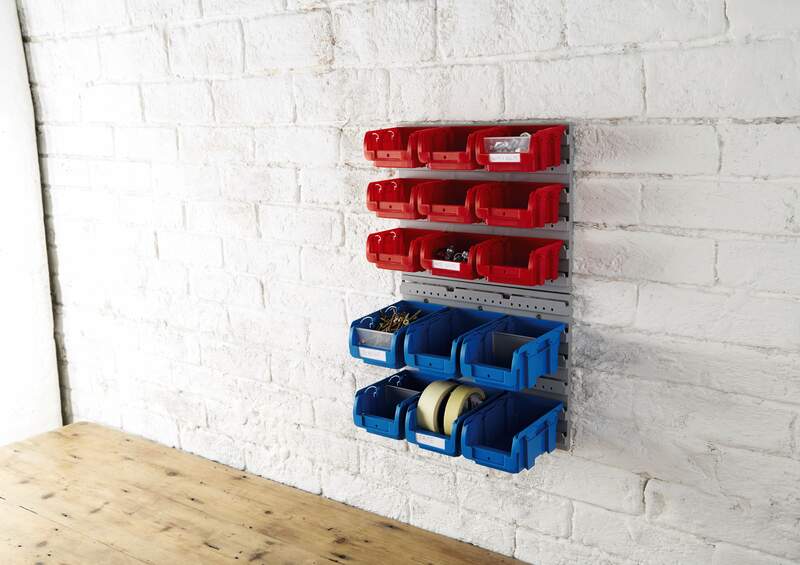 Treat your tools with care and keep them organised by putting them away in their correct place after every job. This is a safety measure, as even a tape measure can cause a nasty cut if it’s left out for someone to play with. Putting tools away will also ensure they are easy to find, saving time between jobs. Another key time saver is remembering to keep battery operated tools charged so they are ready to use when you want to start the next job. Taking care of your tools will ensure they remain in good condition. To avoid accidents, it’s important that sharp tools stay sharp. If your tools are blunt, more pressure is required, and this means that they can slip more easily.